I am stuck on “home rest” for the next month (perhaps longer) while I am dealing with a medical issue. Since it involves tapering off one medication to begin another, I am requiring a lot of distraction. Putting the time to good use is also important. While I am knitting a lot of hats for South Africa, I am also enjoying dipping into the culture and times of the 1920’s – 1930’s. I discovered that youtube has many movies from the era. One of my favorites has to be “The Bat Whispers”. It has been restored, so the viewer is able to enjoy it much as the audience that first saw this movie in 1930. The movie takes advantage of being black and white, with extensive use of shadows. Also, the use of miniatures, something rarely seen in a modern movie, should be appreciated by the viewer. See if you can pick out the scenes where miniatures were used. Some are very obvious, yet also fit in well with the film. It’s supposed to be fun as well as scary, a fantasy, so the miniatures work well. 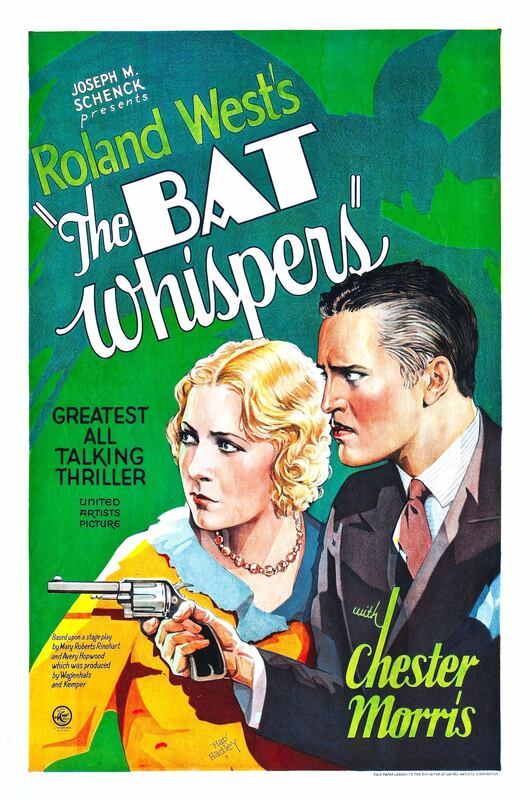 The name “whispers” was probably added to the title to escape confusion with the silent version, and also to assure the audience that this picture was a “talkie”. You can see the film was advertised as “ALL TALKING” since many studios simply cut in a few talking scenes to silent films and called then “Talkies”. 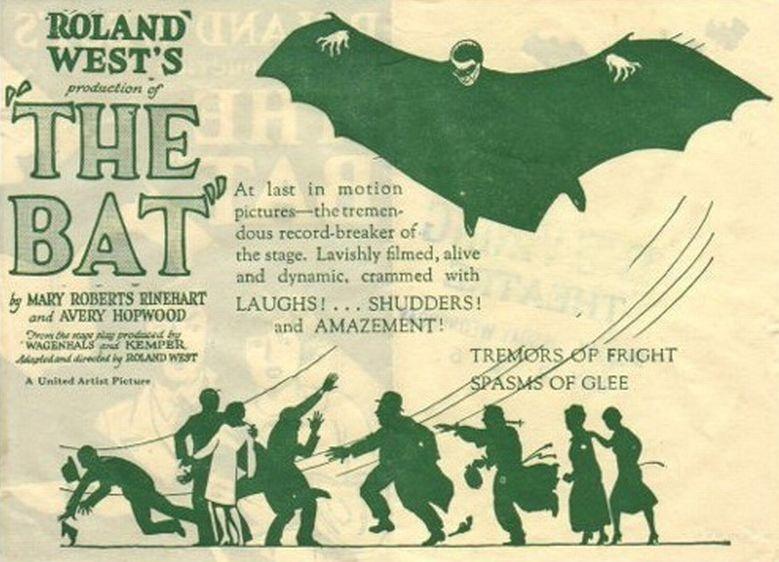 Even though this movie was made in 1930, it was a remake of an equally good silent film from 1926, “The Bat”. The movie is almost the same, but with titles. Watching both is a good education on the differences between a silent and a “talkie”. I found myself forgetting it was a silent film, and easily able to follow along. A good silent has that ability. Sadly I’m not sure the sound track is correct for this film in this youtube version. Also please note Jack Pickford, the original bad boy of Hollywood and brother of Hollywood legend Mary Pickford, is in this film. His juvenile looks, as well as his drinking, kept him from playing leads. Both these films were based on a Broadway hit play. Then there is the 1959 movie adaptation starring Vincent Price. I can’t really recommend it, but it could be because I had seen the silent and first talkie version of the movie first. This adaptation can’t really handle the comparison. I was surprised when a friend mentioned that the movie “The Bat Whispers” was part of the inspiration for the comic book hero “Batman”. Both the silent and 1930 version I feel were involved in the inspiration. The silent film makes more use of the bat light sign. Also the silent Batman, who is a bad guy, has more of a full bat costume. The 1930 Batman has just a cape and hood. Both are wonderful films, I especially enjoyed the humor elements. The maid in the talkie does scream rather a lot, but the surprise ending shows she was helpful after all. That’s the only spoiler alert readers will get. ‹ Looking for New Cookbooks? Tired of Healthy?